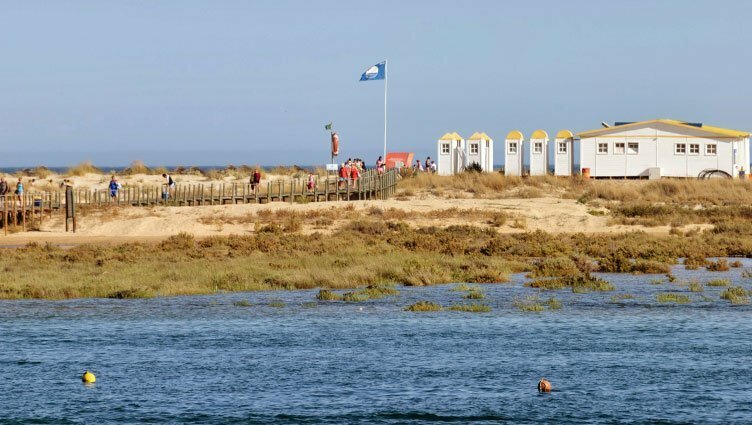 To the East side of Tavira Island, you will find the Island and Cabanas beaches, a narrow but long strip of land before the last bar across the river estuary to the East. 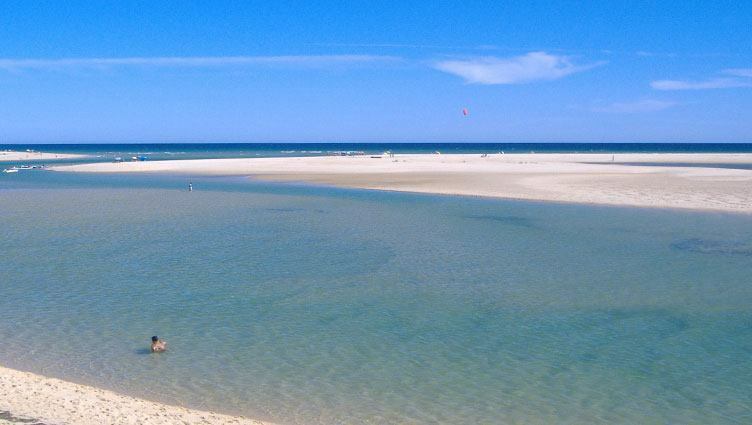 The beach of Cabanas is situated in front of the village, whose origin goes back to the old days of tuna fishing in this area, and which even today remains a picturesque fishing village. 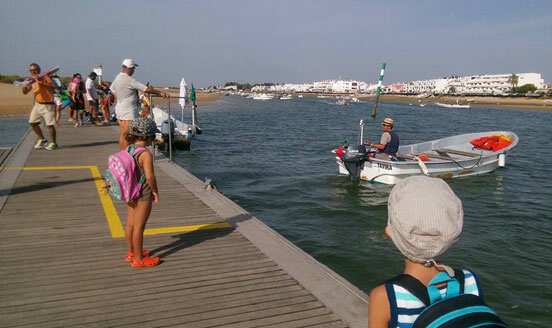 From the waterfront at Cabanas, fishing boats can be seen anchored in the Ria Formosa. 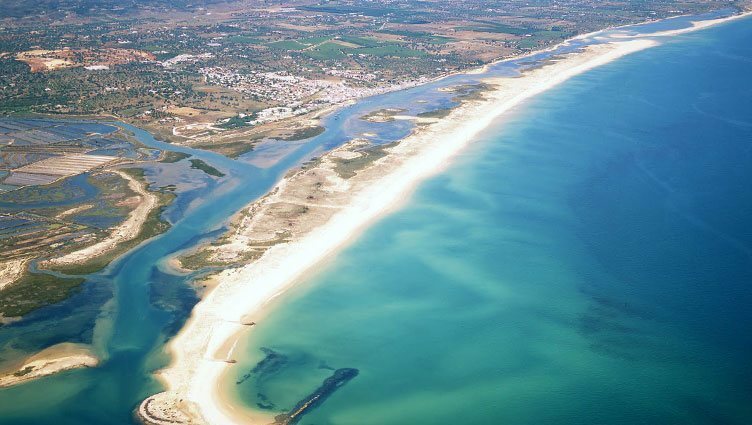 The branch of the Ria Formosa that separates the Island of Cabanas from the mainland is quite narrow and you can cross it by foot at low tide. The preferred means of access is, however, by boat, a journey that only takes a few minutes from Cabanas. Walking along the beach is a pleasant experience and you only have to walk a short distance to be able to enjoy a few moments of peace and quiet and perfect isolation. On returning to Cabanas, you can visit one of the many restaurants along the waterfront and sample the local oysters and clams picked in the nearby nurseries, as well as the various octopus dishes. Note that in order to help preserve this area, you should cross over the sand dunes using the raised wooden footpaths provided. There are boats to the island (in the form of a taxi service) from the waterfront at Cabanas (signposted and roughly one and a half kilometres from the EN 125). The parking area is organised. 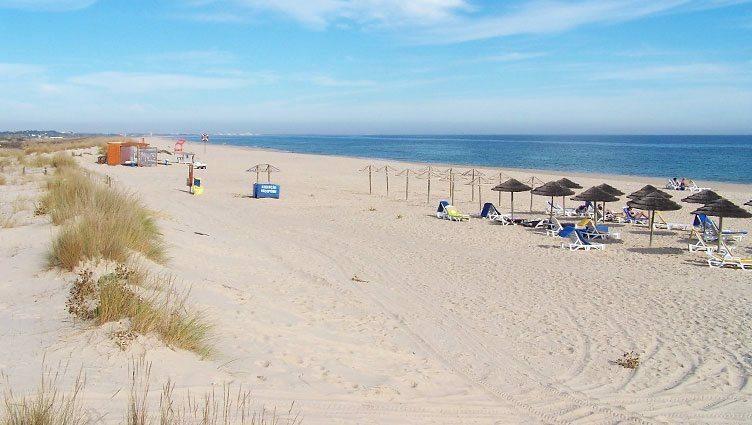 The beach has basic support facilities (restaurant and toilets) and is supervised during the bathing season. 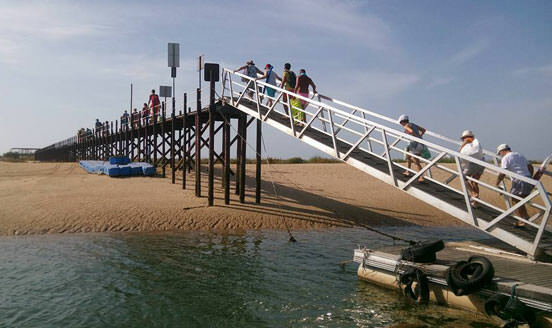 There are Aqua-taxis that runs both to Cabanas and Tavira Island; they also provide guided tours up to a limited amount of people. Aqua-taxis usually are usually around 1,30 Euro per person, and it includes the return trip. Children up to 10 years travel free. Normal schedule is from 9h A.M. to 6h P.M. but always ask since in high season it might change.